This majestic fireplace encompasses all the grace and elegance of Georgian design. Featuring large reeded pillars with caps and bases, hand carved panels on a reeded and moulded frieze, this excellence proportioned fireplace will lend charm and beauty to any room. 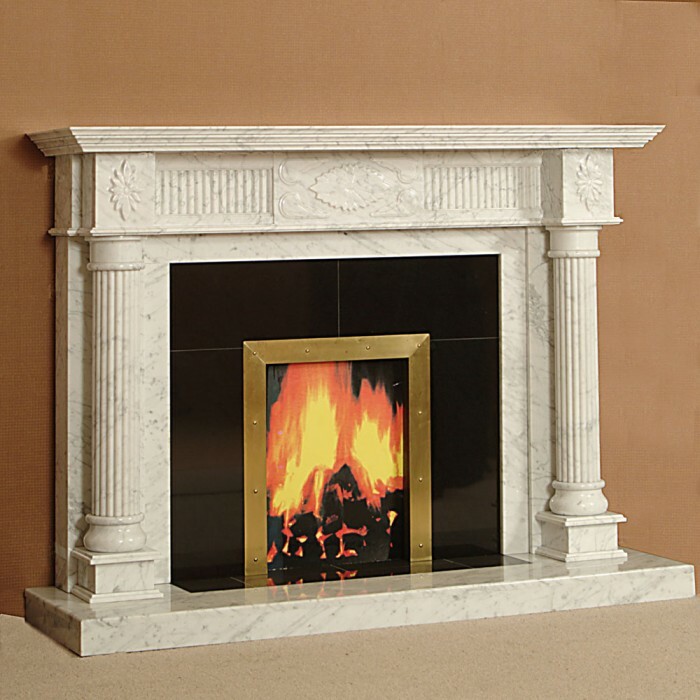 Shown here in Bianco Carrara Marble with a granite insert and brass frame on a marble and Granite Hearth. Available Sizes: Width: 60" & 72" Height: 48"- 53"